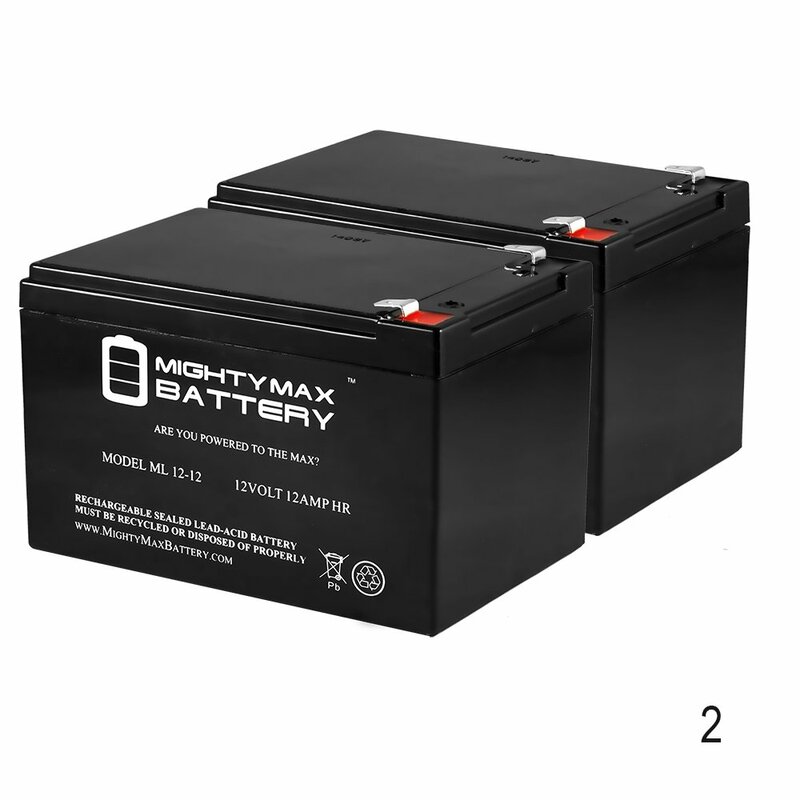 Home › Electronics › 12V 12Ah Battery For Zip'R Mobility Zip-R Roo Scooter - 2 Pack - Mighty Max B..
12V 12Ah Battery For Zip'R Mobility Zip-R Roo Scooter - 2 Pack - Mighty Max B..
Dimensions: 5.94 inches x 3.88 inches x 4.00 inches. Terminal: F2. Listing is for the Battery only. No wire harness or mounting accessories included.